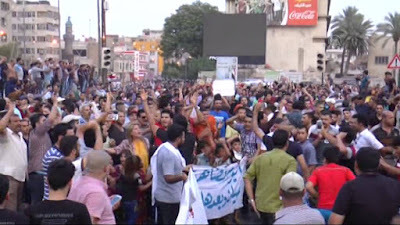 The protests, which started in several cities in southern Iraq last week, quickly spread to the rest of Iraq, reaching their peak on 7 August. Around half a million people came out in Baghdad alone, chanting slogans against the corrupt and reactionary rulers. Hundreds of thousands of others have demonstrated in Samawah, Al Diwaniyah, Basra, Nasiriyah, Najaf and Amarah. Slogans such as ‘Neither Shia nor Sunni, but secularism’, ‘The religious regime has ripped us off’, show the real meaning of the protests of the people of Iraq. Starting on 31st July in Baghdad, Basra, Najaf and Amarah, the protests spread to Sulaymaniah, Rania, Qaladiza, Chamchamal, Darbandikhan and Halabja in Iraqi Kurdistan. The power and water cuts in Iraq’s deadly heat wave gave the pretext for people to voice their deep anger and discontent against poverty, insecurity, lack of rights and Iraq’s corrupt and reactionary government. According to reports from the Left Worker-communist Party of Iraq, several well known workers’ leaders, such as Falah Alwan and Saeed Nema, as well as the prominent women’s rights activist Hana Edward, spoke at Baghdad’s rally today. According to this report, left and secular forces have played a leading role in these protests. We support the struggle of the people of Iraq for freedom and call on the people in Iran to support these protests. The people of Iran have experienced the barbaric rule of the Islamic Republic and share a common cause with the people of Iraq, and welcome the escalation of their just struggle. The slogan chanted by the people of Iraq today, ‘Neither Shia nor Sunni, but secularism’, is a key slogan of the people of Iran too. The reactionary Islamic regimes in Iraq and Iran should get lost so people can gain control over their lives. Victory to the struggle of the people of Iraq!